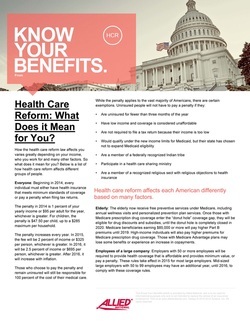 > Health Care Reform: What Does it Mean for You? 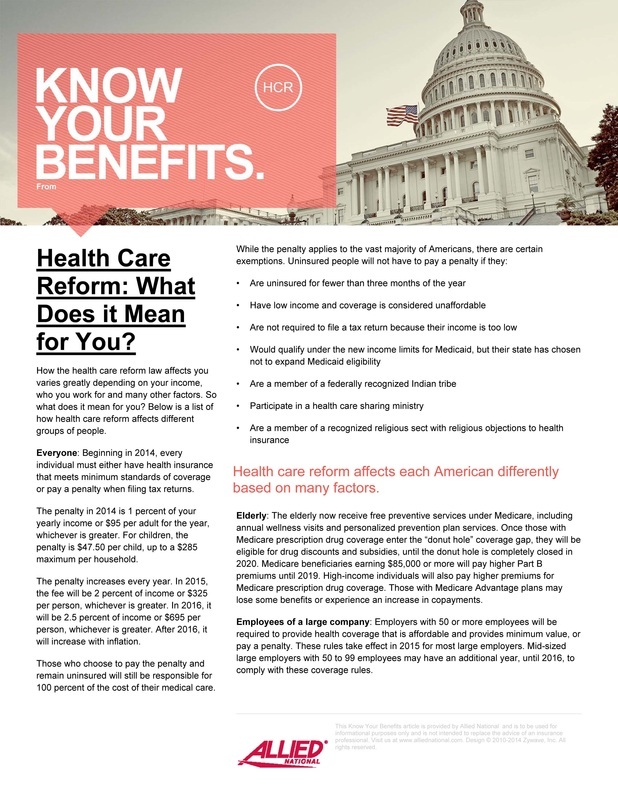 This Know Your Benefits article explains how groups such as employees of large companies, children with pre-existing conditions and the elderly will be affected by the health care reform legislation. > What Does the Individual Mandate Mean to Me? This Know Your Benefits piece explains what the Affordable Care Act's individual mandate is and how it affects you. It has been updated to describe the penalty exemption for individuals who purchased health insurance coverage (either an Exchange plan or group or individual coverage outside of the Exchange) that was effective on or before May 1, 2014. 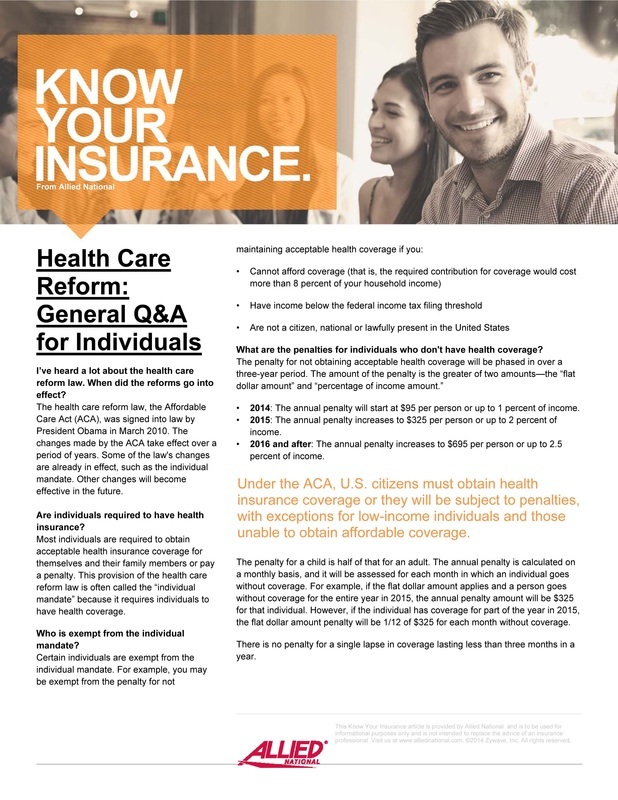 This Know Your Insurance article answers common questions individuals may have regarding health care reform. It has been updated to include additional information on key health care reform changes that will take effect in 2014, such as the individual mandate requirement.